This presented a little bit of a challenge because, first, I don’t eat gelatin (and as a result, don’t eat marshmallows) and, second, none of these recipes we found actually struck either my or B’s fancy. These were made for a weekend away with a bunch of friends in a house in the Poconos. We decided we wanted to make a cupcake that was reminiscent of the outdoor experience (even though we were inside in the warmth). 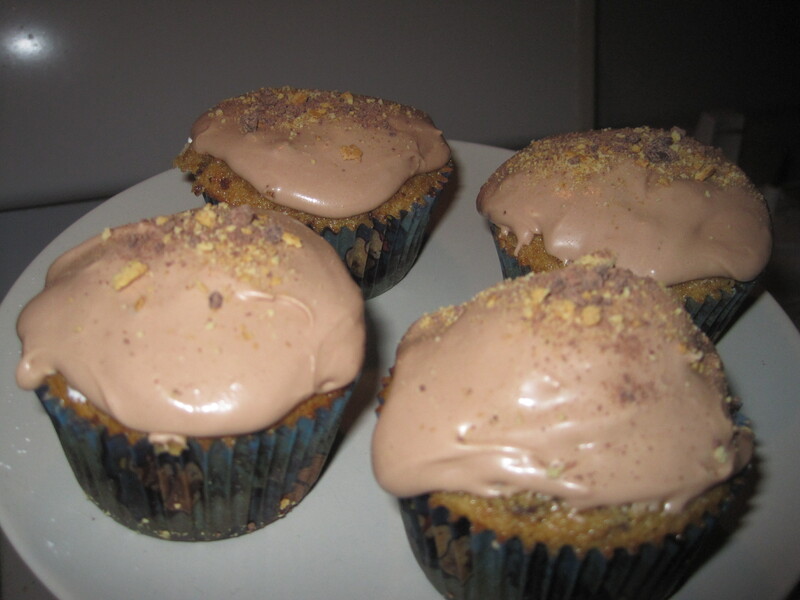 This recipe is a combination of a number of different ones: I got the graham cracker cupcake recipe from here, the recipe for the chocolate cupcakes from here, and the chocolate marshmallow frosting from here. We decided we wanted to replicate the “s’mores experience’ by making a triple layer cupcake filled with marshmallow creme. 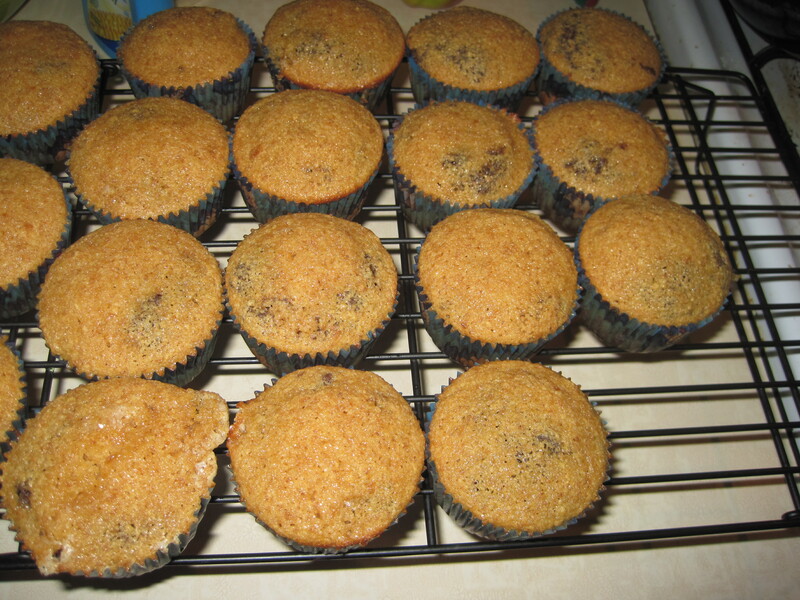 One thing I learned by making another multi-layer cupcake (the dark and stormy cupcakes) is that its very, very easy to add too much and cause the cupcakes to overflow. Be VERY CAREFUL about how much batter you add into the tins. This was a little bit of trial and error for me as I did these s’mores cupcakes to make sure that I had the right amount to add into the cupcake tins. 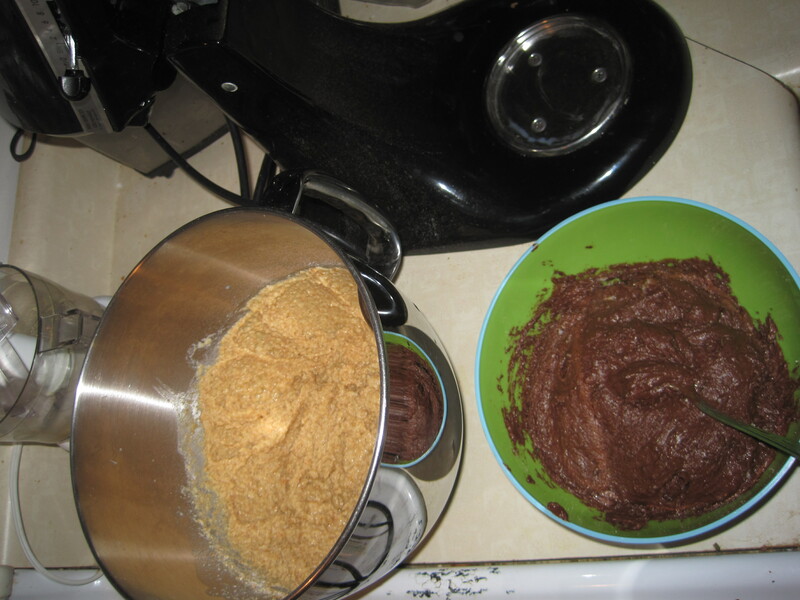 Whisk graham crumbs, flour, baking powder, and pinch of salt in a medium bowl. Beat butter and sugar in large bowl until light and fluffy. Add eggs 1 at a time, beating to blend between additions. Beat in vanilla. Add graham-cracker mixture in 3 parts alternating with the milk (in 2 parts), beginning and ending with graham-cracker mixture. Divide batter into two parts. 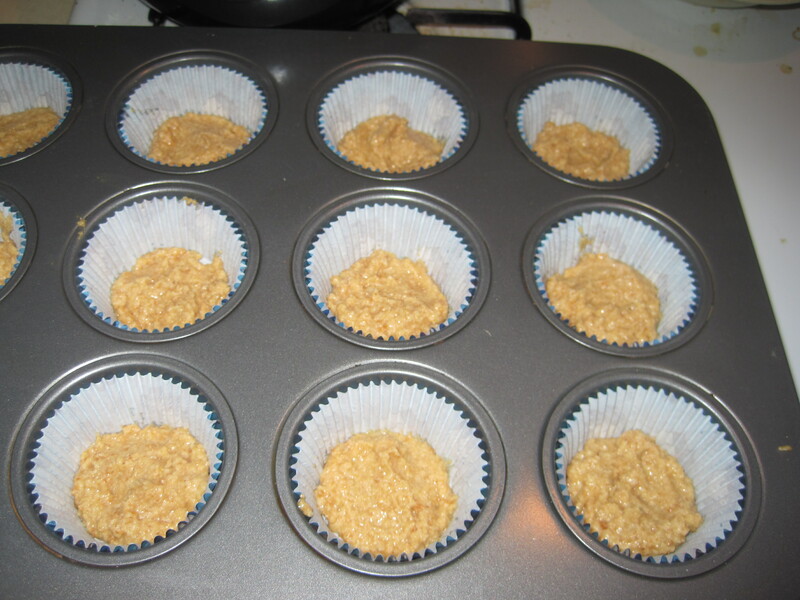 In lined cupcake pan, first add a layer of the graham cracker cupcake batter (approximately 1-2 tbsps) using one part of the batter you have divided. 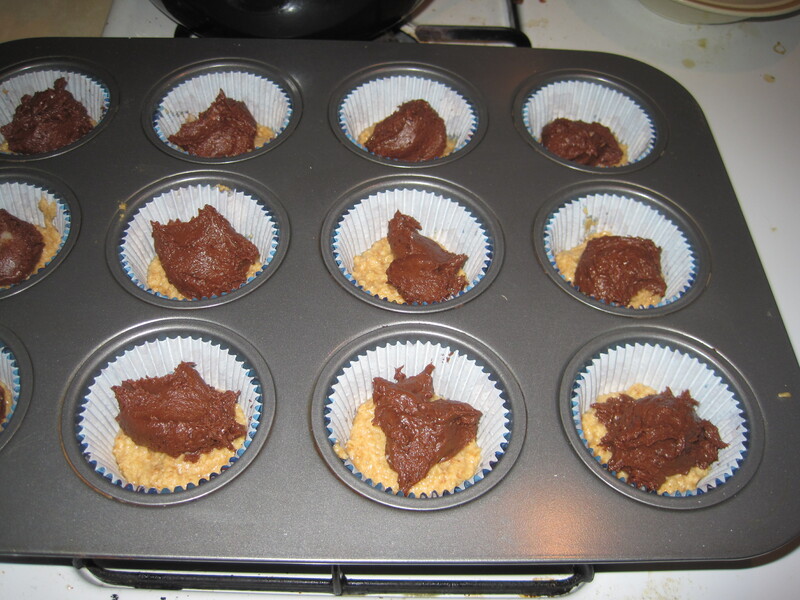 Next, put the chocolate cupcake batter (approx 1-2 tbsp) on top of this. Make sure to spread out the chocolate batter so it bakes evenly. Finally, use the second part of the graham cracker batter and add the top layer of graham cracker (approx 1-2 tbsp). Bake approximately 20 minutes or until the tester comes out clean. Transfer to a wire rack and cool completely before icing. 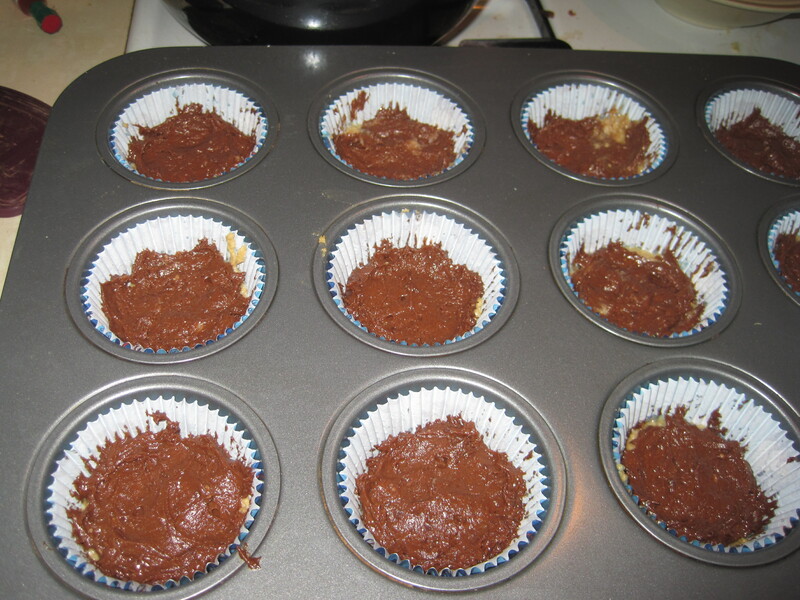 Once cupcakes are cooled, use an apple corer or similar instrument (I actually used a grapefruit spoon. Work with what you’ve got, right?). Reserve the top of the piece of cupcake you have removed (so what would have been on the top of the cupcake). Fill the hole in the cupcake with Fluff. Repeat for each cupcake. Combine 1-7 oz container of Fluff, two-thirds of the confectioners’ sugar, melted chocolate, shortening, and half of the half-and-half in a mixing bowl. Beat with an electric mixer until smooth. Alternately add remaining confectioners’ sugar and half-and-half until desired level of sweetness and consistency is attained. (Note: We ended up making the icing too liquid-y but did not want to make it any sweeter. B used cornstarch to thicken the icing and it did not influence the taste).